The most accessible guide to the essential ideas of "the inventor of modern management". 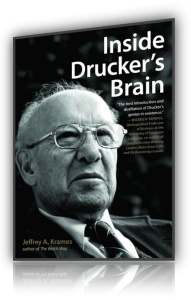 Krames used the insights he gained that day to create "Inside Drucker's Brain"—a compact guide to the great man's wisdom. Krames had no intention of writing a biography, but rather a book that would showcase Drucker's most important ideas and strategies, and explain why they are just as useful today as they were decades ago. 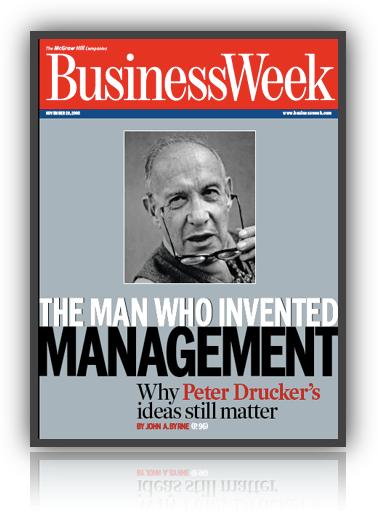 Drucker's biggest contribution was a mind-set, not a methodology. He focused on prodding managers to ask the right questions, to look beyond what they thought they knew, and to focus on tomorrow rather than yesterday. If anything, this mind-set is more valuable in the digital age than it was in the industrial age. This user-friendly book will help readers grasp all of Drucker's key ideas on leadership, strategy, innovation, personal effectiveness, career development, and many other topics. "It's All About the Long Term"